I could be wrong but I think that is your lcd backlight. Is that an old ATI/AMD graphics card by any chance? I've seen that happen on a few of those. [ 51.354] (==) Using config directory: "/etc/X11/xorg.conf.d"
[ 51.355] (==) Using system config directory "/usr/share/X11/xorg.conf.d"
[ 51.432] (==) No Layout section. Using the first Screen section. [ 51.432] (==) No screen section available. Using defaults. [ 51.432] (**) | |-->Monitor "<default monitor>"
[ 51.432] (==) No monitor specified for screen "Default Screen Section". [ 51.485] (WW) The directory "/usr/share/fonts/TTF/" does not exist. [ 51.485] Entry deleted from font path. [ 51.485] (WW) The directory "/usr/share/fonts/OTF/" does not exist. [ 51.485] (WW) The directory "/usr/share/fonts/Type1/" does not exist. [ 51.485] (WW) `fonts.dir' not found (or not valid) in "/usr/share/fonts/100dpi/". [ 51.485] (Run 'mkfontdir' on "/usr/share/fonts/100dpi/"). [ 51.486] (WW) `fonts.dir' not found (or not valid) in "/usr/share/fonts/75dpi/". [ 51.486] Entry deleted from font path. [ 51.486] (Run 'mkfontdir' on "/usr/share/fonts/75dpi/"). [ 51.486] (==) ModulePath set to "/usr/lib64/xorg/modules"
[ 51.486] (II) The server relies on udev to provide the list of input devices. [ 51.491] (II) LoadModule: "glx"
[ 51.797] (II) Module glx: vendor="X.Org Foundation"
[ 51.797] (II) LoadModule: "nouveau"
[ 51.911] (II) Module nouveau: vendor="X.Org Foundation"
[ 51.911] (II) LoadModule: "nv"
[ 51.912] (II) LoadModule: "modesetting"
[ 51.931] (II) Module modesetting: vendor="X.Org Foundation"
[ 51.931] (II) LoadModule: "fbdev"
[ 51.931] (II) LoadModule: "vesa"
[ 51.936] (II) Loading sub module "dri2"
[ 51.936] (II) LoadModule: "dri2"
[ 51.936] (--) NOUVEAU(0): Chipset: "NVIDIA NVC1"
[ 51.936] (==) NOUVEAU(0): Allowed maximum DRI level 2. [ 51.936] (==) NOUVEAU(0): GLX sync to VBlank enabled. [ 51.936] (==) NOUVEAU(0): Page flipping synced to vblank by kernel. [ 51.962] (II) NOUVEAU(0): 3 crtcs needed for screen. [ 51.962] (II) NOUVEAU(0): Allocated crtc nr. 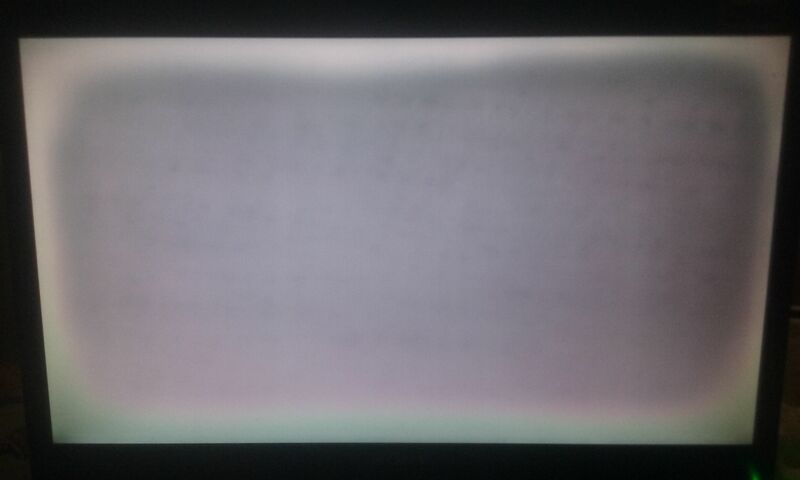 0 to this screen. [ 51.962] (II) NOUVEAU(0): Allocated crtc nr. 1 to this screen. [ 51.989] (II) Loading sub module "fb"
[ 51.989] (II) LoadModule: "fb"
[ 52.003] (II) Module fb: vendor="X.Org Foundation"
[ 52.003] (II) Loading sub module "shadowfb"
[ 52.003] (II) LoadModule: "shadowfb"
[ 52.021] (II) Module shadowfb: vendor="X.Org Foundation"
[ 52.021] (II) UnloadModule: "modesetting"
[ 52.023] (II) NOUVEAU(0): Channel setup complete. [ 52.024] (II) NOUVEAU(0): [COPY] async initialised. [ 52.043] (II) Loading sub module "exa"
[ 52.043] (II) LoadModule: "exa"
[ 52.047] (II) Module exa: vendor="X.Org Foundation"
[ 52.048] (II) NOUVEAU(0): [XvMC] Associated with Nouveau GeForce 8/9 Textured Video. [ 52.048] (II) NOUVEAU(0): [XvMC] Extension initialized. [ 53.564] (II) NOUVEAU(0): NVEnterVT is called. [ 54.098] (**) Sony Vaio Keys: Applying InputClass "libinput keyboard catchall"
[ 54.098] (II) LoadModule: "libinput"
[ 54.150] (II) Module libinput: vendor="X.Org Foundation"
[ 54.150] (**) Option "Device" "/dev/input/event3"
[ 54.150] (**) Option "_source" "server/udev"
[ 54.230] (**) Option "config_info" "udev:/sys/devices/LNXSYSTM:00/LNXSYBUS:00/PNP0A08:00/device:01/SNY5001:00/input/input4/event3"
[ 54.235] (**) Sony Vaio Jogdial: Applying InputClass "libinput pointer catchall"
[ 54.235] (**) Option "Device" "/dev/input/event4"
[ 54.235] (**) Option "_source" "server/udev"
[ 54.255] (**) Option "config_info" "udev:/sys/devices/LNXSYSTM:00/LNXSYBUS:00/PNP0A08:00/device:01/SNY5001:00/input/input5/event4"
[ 54.255] (**) Option "AccelerationScheme" "none"
[ 54.260] (II) No input driver specified, ignoring this device. [ 54.260] (II) This device may have been added with another device file. [ 54.261] (**) Video Bus: Applying InputClass "libinput keyboard catchall"
[ 54.261] (**) Option "Device" "/dev/input/event2"
[ 54.261] (**) Option "_source" "server/udev"
[ 54.283] (**) Option "config_info" "udev:/sys/devices/LNXSYSTM:00/LNXSYBUS:00/PNP0A08:00/device:5d/LNXVIDEO:02/input/input2/event2"
[ 54.288] (**) Power Button: Applying InputClass "libinput keyboard catchall"
[ 54.288] (**) Option "Device" "/dev/input/event1"
[ 54.288] (**) Option "_source" "server/udev"
[ 54.307] (**) Option "config_info" "udev:/sys/devices/LNXSYSTM:00/LNXSYBUS:00/PNP0C0C:00/input/input1/event1"
[ 54.311] (II) No input driver specified, ignoring this device. [ 54.311] (II) This device may have been added with another device file. [ 54.313] (II) No input driver specified, ignoring this device. [ 54.313] (II) This device may have been added with another device file. [ 54.314] (II) No input driver specified, ignoring this device. [ 54.314] (II) This device may have been added with another device file. [ 54.315] (II) No input driver specified, ignoring this device. [ 54.315] (II) This device may have been added with another device file. [ 54.316] (II) No input driver specified, ignoring this device. [ 54.316] (II) This device may have been added with another device file. [ 54.318] (**) UVC Camera (05ca:18ba): Sony Vi: Applying InputClass "libinput keyboard catchall"
[ 54.318] (**) Option "Device" "/dev/input/event16"
[ 54.318] (**) Option "_source" "server/udev"
[ 54.339] (**) Option "config_info" "udev:/sys/devices/pci0000:00/0000:00:1a.0/usb1/1-1/1-1.2/1-1.2:1.0/input/input16/event16"
[ 54.344] (II) No input driver specified, ignoring this device. [ 54.344] (II) This device may have been added with another device file. [ 54.345] (II) No input driver specified, ignoring this device. [ 54.345] (II) This device may have been added with another device file. [ 54.346] (II) No input driver specified, ignoring this device. [ 54.346] (II) This device may have been added with another device file. [ 54.348] (**) USB Optical Mouse Mouse: Applying InputClass "libinput pointer catchall"
[ 54.348] (**) Option "Device" "/dev/input/event5"
[ 54.348] (**) Option "_source" "server/udev"
[ 54.423] (**) Option "config_info" "udev:/sys/devices/pci0000:00/0000:00:1c.5/0000:05:00.0/usb3/3-1/3-1:1.0/0003:1BCF:0007.0001/input/input6/event5"
[ 54.423] (**) Option "AccelerationScheme" "none"
[ 54.481] (II) No input driver specified, ignoring this device. [ 54.481] (II) This device may have been added with another device file. [ 54.483] (II) No input driver specified, ignoring this device. [ 54.483] (II) This device may have been added with another device file. [ 54.485] (**) AT Translated Set 2 keyboard: Applying InputClass "libinput keyboard catchall"
[ 54.485] (**) Option "Device" "/dev/input/event8"
[ 54.485] (**) Option "_source" "server/udev"
[ 54.506] (**) Option "config_info" "udev:/sys/devices/platform/i8042/serio0/input/input8/event8"
[ 54.511] (**) AlpsPS/2 ALPS GlidePoint: Applying InputClass "libinput touchpad catchall"
[ 54.511] (**) AlpsPS/2 ALPS GlidePoint: Applying InputClass "touchpad catchall"
[ 54.511] (**) AlpsPS/2 ALPS GlidePoint: Applying InputClass "Default clickpad buttons"
[ 54.511] (II) LoadModule: "synaptics"
[ 54.530] (II) Module synaptics: vendor="X.Org Foundation"
[ 54.530] (**) Option "Device" "/dev/input/event7"
[ 54.548] (II) synaptics: AlpsPS/2 ALPS GlidePoint: device does not report finger width. [ 54.564] (**) Option "config_info" "udev:/sys/devices/platform/i8042/serio1/input/input3/event7"
[ 54.565] (**) AlpsPS/2 ALPS GlidePoint: Ignoring device from InputClass "touchpad ignore duplicates"
[ 27395.978] (II) NOUVEAU(0): NVLeaveVT is called. [ 27484.092] (II) NOUVEAU(0): NVEnterVT is called. [ 27488.829] (II) NOUVEAU(0): NVLeaveVT is called. Your image shows a screen that is not being driven at all. It settles in that grey colour all over. The edges appear lighter because of the viewing angle and a little discussed feature of flat panels called off axis light leakage. You will hate non-native resolutions that are not integer divisors of 1920x1080. 960x540 won't look to bad. That's exactly 4 on screen pixels to every pixel in the image. How are you setting alternate resolutions? should all produce an image. That's not the issue here, so file that away for future reference. Your dmesg looks good and xrandr should be good too. Once upon a time Ctl-Alt and +/- (on the num pad) stepped through all the Xorg configured resolutions. I've not used that for years. says that the feature is still there. It doesn't work for me right now and I have all the setting in my xorg.conf.